The round-table discussion ‘Fuel Life Cycle. Challenges and Promising Solutions’ will be held from 10:00 AM till 1:00 PM on May 15 as part of ATOMEXPO 2018 in the Orange Hall of the Main Media Center, according to TENEX. 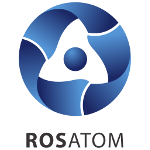 Russian nuclear corporation Rosatom is the global leader in the nuclear fuel fabrication and spent fuel management technology. The next stage of the global nuclear industry development will be a transition to the so-called ‘closed’ nuclear fuel cycle. Russia is working to develop technological solutions to close the fuel cycle with fast neutron reactors. Rosatom also continues testing REMIX, a new type of fuel that can be reprocessed multiple times and will improve utilization of uranium in light-water reactors. Another important project launched by the Russian nuclear corporation is the development of accident tolerant fuel. All these topics will be discussed at the round-table ‘Fuel Life Cycle. Challenges and Promising Solutions’. Reports will be made by Vladimir Asmolov, a member of the IAEA International Nuclear Safety Advisory Group (INSAG), Mikhail Baryshnikov, Head of the Innovative Products Department at TENEX, Dmitry Kolupaev, Chief Engineer at Mayak, Peter Breitenstein, Vice President of Orano, and Luc Van Den Durpel, Managing Director of Nuclear-21.